Published on Friday, December 15, 2017. This article appears in the December/January 2018 issue of American Craft Magazine. The monthly subscription service provides everything busy makers need to tackle a project, from tools and materials to online tutorials. Imagine a trip to the craft store for jewelrymaking supplies with a baby, a toddler, and a preschooler in tow. You manage to keep them from upending everything in sight, but you buy too much. Weeks later, even though you need to return some items, you just aren’t ready to relive that ordeal. That was Morgan Spenla, who decided there had to be a better way. 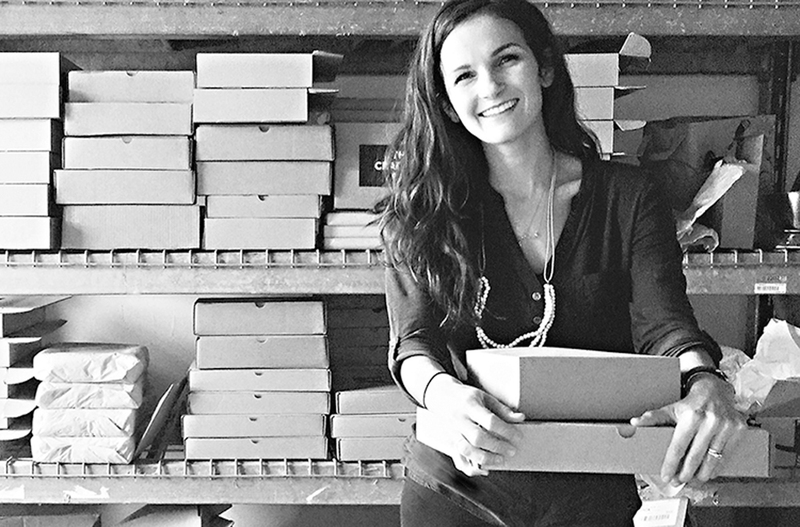 In 2015, she founded the Crafter’s Box, a subscription service for like-minded makers, who receive a curated kit delivered to their door, with all the tools and materials to complete a maker-designed project each month. A video workshop with the originator is available online. 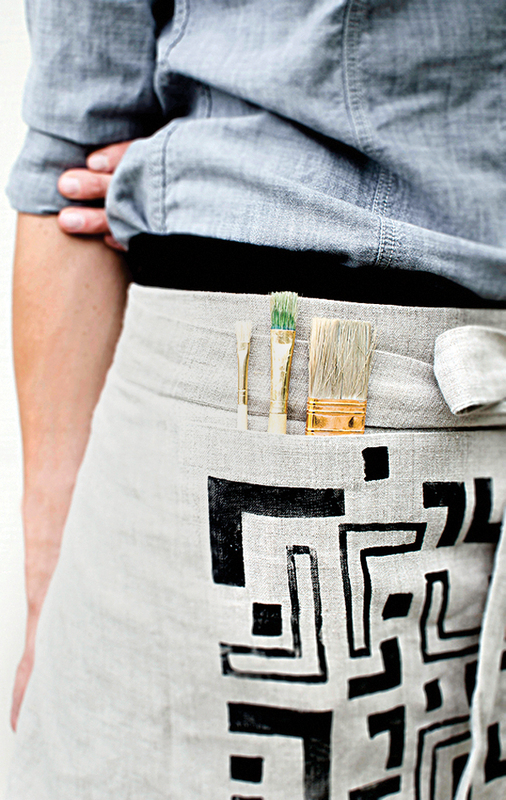 Projects vary widely, from watercolors to woven wall hangings to wooden cutting boards, and accommodate different skill levels. “Whether you’re coming in brand-new or you’re coming in as an experienced artist, you’re going to gain something from the maker that we’re featuring that month,” says Spenla, 32, who lives in San Diego. 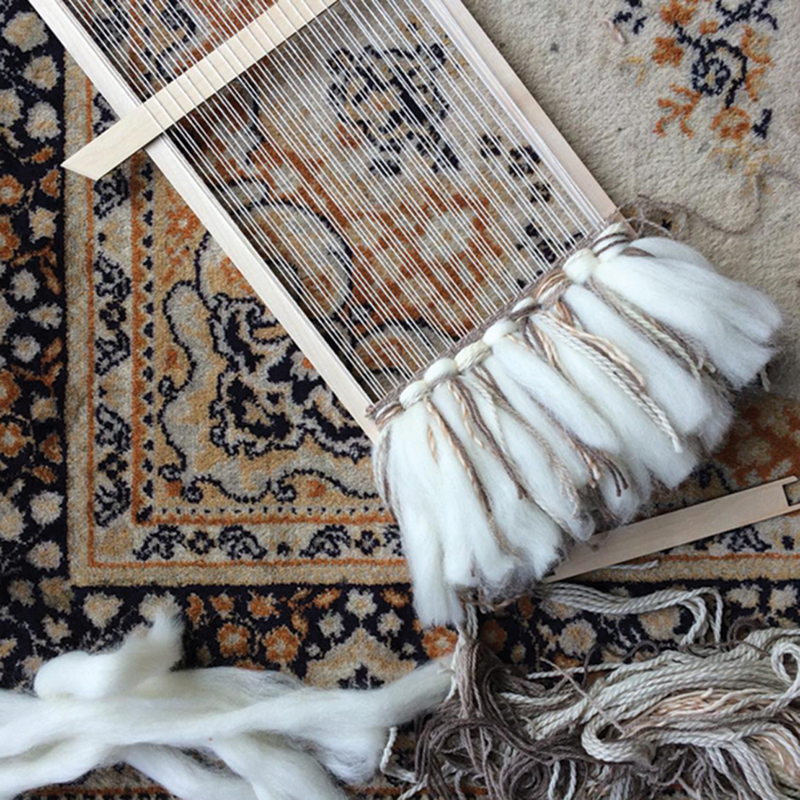 The workshops are available indefinitely, so, months later, if you’ve forgotten how to prepare your loom or cast on for your knitting project, you’re covered. Ample lead time – six months to a year – allows for sourcing the best materials and working efficiently. Spenla seeks out makers who are comfortable teaching a workshop on camera, which is key to the whole process. She’ll gather a group of six or so upcoming artists for “crafter’s retreats,” where she and her small team shoot the workshops and final products; she collaborates with each maker to create the ideal kit. She also works hard to include materials that are sustainably sourced. The month before each new kit ships and workshop launches, Spenla releases a podcast with the project’s featured maker. It’s a chance for participants to get to know more about the maker, the upcoming project, and its materials. Participants have 10 days each month to subscribe to the next month’s box or sign on for three months at a discount. Spenla and her team put together around 600 projects a month now. Included in a membership is an online how-to workshop, access to an online forum, and the chance to join in an hourlong “maker chat” with the featured artist streaming live from their studio at the end of the month. It’s a chance to ask any last questions or watch the maker demonstrate a particular technique. “There’s a mentality in the crafting world right now that sharing just helps to spread awareness to artists in general, and that is always a good thing,” Spenla says. “For me, however I’m able to be creative despite the busyness of life, that’s something that’s really huge; it keeps me grounded and it enhances my life so much that I just really believe that there are a lot of other makers out there who feel the same way. Founder Morgan Spenla with Crafter’s Box kits. Because every kit costs the same, it can be tricky to source affordable equipment. Spenla collaborated with a woodworking team to produce this loom for a weaving kit. Crafter’s Box maker-designed projects include block printing. Crafter’s Box maker-designed projects include arm knitting with chunky wool.